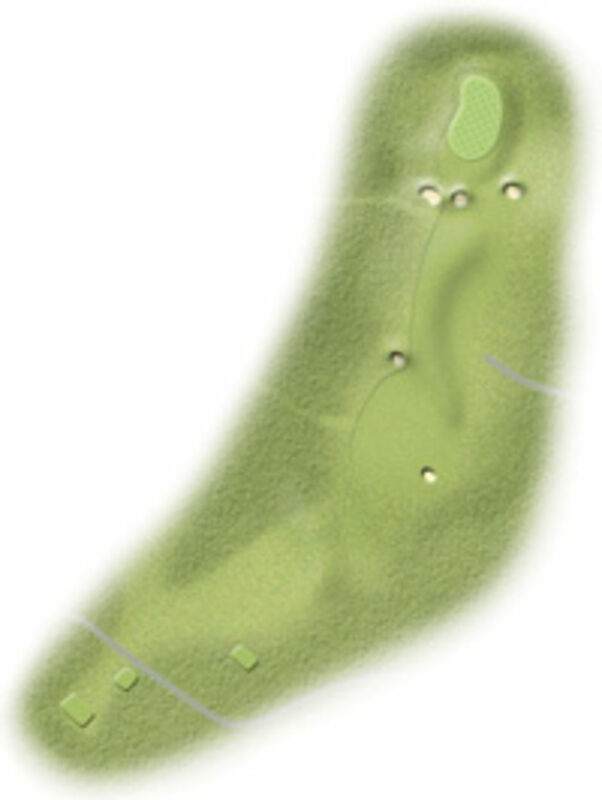 This 363 yard par 4 hole is a dogleg left, the corner of which can be taken on by the longer hitter. The second shot has got to hold the middle of the green as it falls away steeply on both sides, through the back is no place to be! A tee shot between the fairway bunkers will leave a straight shot up the green. Big fall off left.